20 Facts About the "Miracle on Ice"
On February 22, 1980, the Soviet War in Afghanistan was almost two months old, making the Cold War as tense as ever. On that same Friday, a hockey team comprised of American college players defeated a dominant Soviet Union group made up of professional athletes—dubiously designated as students, engineers, or soldiers to maintain their then Olympic-required amateur status—in the Winter Olympics in Lake Placid, New York. Jim McKay, the venerable host of ABC’s Wide World of Sports and its respected Olympic telecast anchor, was tasked to put into words what the viewers had just seen; the 59-year-old settled on, “That may be the greatest upset in sports history.” He added that it was the equivalent of an all-star football team of Canadian college boys beating the Pittsburgh Steelers, who had just won their fourth Super Bowl in six years. Nearly 35 years later, that comparison holds up. 1. THE U.S. 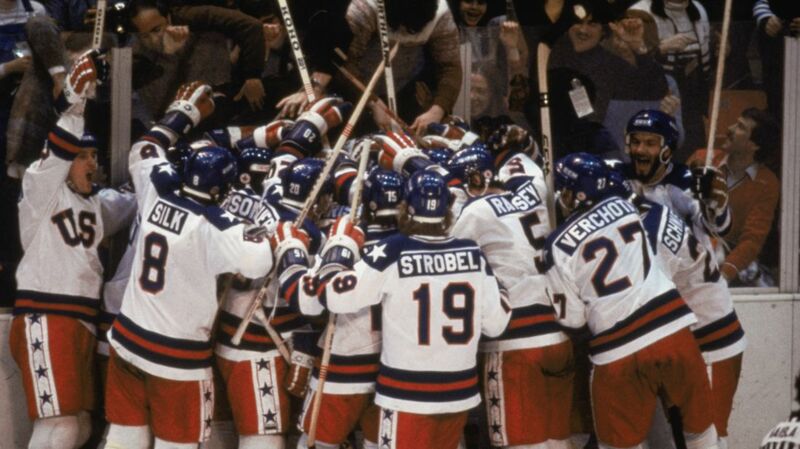 BEAT THE RUSSIANS IN A SURPRISE UPSET IN A HOCKEY GAME 20 YEARS EARLIER. The Americans won the men’s hockey gold in 1960 thanks to a surprising semifinal win over the defending champion Soviet Union. After that, the Soviets dominated and took home the next four gold medals, going 27-1-1 and outscoring their opponents 175-44, making the 1980 victory a much bigger shock. 2. THE U.S. HEAD COACH WAS THE LAST PLAYER CUT FROM THE 1960 TEAM. Bill Cleary agreed to join team USA only if his brother Bob could play. The Clearys got their wish, and as a result, there was not enough room for Herb Brooks. Brooks would go on to play at the '64 and '68 Olympics, and he later earned a spot on the Olympic team as head coach after leading the University of Minnesota to three national championships in the 1970s. 3. HERB BROOKS KEPT TELLING HIS PLAYERS THAT ONE OF THE RUSSIANS LOOKED LIKE STAN LAUREL. 4. THE USSR BEAT THE U.S. 10-3 LESS THAN TWO WEEKS EARLIER. In a February 9th exhibition at Madison Square Garden, the Russians expectedly dominated. Combined with the Soviets’ 6-0 victory over a team of NHL All-Stars one year earlier, it looked like a fifth consecutive gold medal was inevitable. 5. THE RUSSIAN HEAD COACH WAS HOSPITALIZED THE DAY BEFORE. Viktor Tikhonov had dealt with the flu throughout the Olympics, and was taken to the hospital on February 21st without any of his players knowing. Tikhonov did not believe in antibiotics. 6. AND THAT NIGHT, THE STARTING U.S. GOALIE AND ONE OF THE RUSSIAN PLAYERS ENJOYED AN ARCADE GAME TOGETHER. 7. IT WAS ONE OF AL MICHAELS’ FIRST TIMES ANNOUNCING A HOCKEY GAME. Even though he had never called a hockey game before, Michaels got the play-by-play assignment for the 1972 gold medal hockey game on NBC because nobody else wanted to do it. In 1980, doing that one broadcast made him the undisputed hockey veteran at ABC, as well as the only one who knew what offside and icing were. 8. MICHAELS MEMORIZED THE RUSSIAN NAMES BY PLAYING TABLE HOCKEY. He played against his broadcast partner and former NHL goalie Ken Dryden in their hotel room, announcing their contests and naming his little men after the players on whichever team the U.S. was about to face. 9. KEN DRYDEN HAD THE BUSIEST FEBRUARY 21ST OF ALL. Dryden, who served as color commentator for the game, would later be teased by his children for not coming up with one of the most memorable sports calls of all time like Michaels, but it’s possible that he was a little bit tired. On Thursday afternoon, while Viktor Tikhonov was in a hospital bed, Dryden went up to Toronto to take the Canadian Bar Exam (which he would pass). That night, as the most famous game of Centipede of all time was taking place, he was back in Lake Placid, having dinner with Herb Brooks, answering a slew of questions Brooks had about the Russians. Dryden was elected into the Hockey Hall of Fame in 1983, and to Canadian Parliament in 2004. 10. IT WAS SHOWN ON TAPE DELAY IN THE UNITED STATES. ABC tried desperately to have the opening face-off moved from 5 p.m. to 8 p.m. eastern time, and agreed to pay the International Ice Hockey Federation $125,000 to make it happen (even though they considered it extortion). The IIHF, however, couldn’t get the Soviet Union to agree to the time change despite offering them $12,500, because they did not want the game moved from 1 a.m. to 4 a.m. Moscow time. Since all of this happened in 1980, the outcome was not known by most Americans when they watched the recorded broadcast that started in primetime. McKay on air was upfront about the game not being live, and said the network received mail from viewers writing that they did not want the ending to be spoiled. 11. PARTS OF THE GAME WERE CUT OUT OF THE ORIGINAL BROADCAST. ABC had scheduled footage for both the hockey game and men’s slalom from 8:30 to 11, with 8 to 8:30 devoted to the animated special The Pink Panther in: Olym-Pinks. To make room, minutes of the game were dropped. 12. JAMIE FARR WAS THE ONLY CELEBRITY IN ATTENDANCE. Farr played Klinger on M*A*S*H, which was in its eighth season. The 7700 seat Lake Placid Olympic Center was sold out, and tickets with a face value of $67.20 were allegedly scalped for as much as $600. 13. IT WASN’T THE GOLD MEDAL GAME. The Americans and Soviets advanced to the “medal round” with Finland and Sweden. A win earned a country 2 points, a tie 1 point. Going into the big match, the U.S. had tied Sweden, and the USSR beat Finland. After the U.S. shocked the world, the Russians took out their frustrations on Sweden two days later and beat them 9-2, so if the U.S. lost to Finland in their next and final game, the Soviet Union would have won the Gold again, with 4 points to the Americans’ 3. 14. THE STARTING SOVIET GOALTENDER WAS TAKEN OUT OF THE GAME AFTER THE FIRST PERIOD—AND IT SHOOK UP THE TEAM. It looked like the USSR was going to finish the first period up 2-1, but a last second score by Mark Johnson gave the U.S. a lot of momentum. This upset Viktor Tikhonov so much that he benched Vladislav Tretiak and replaced him with Vladimir Myshkin, who, after shutting out the Americans in the second period, would allow two goals in the third. The move shocked the Russians at the time—defenseman Sergei Starikov said, “It felt like a big hole had been put in our team.” Tikhonov himself looked back on it and admitted, “It was my worst mistake, my biggest regret." 15. AL MICHAELS DID NOT REHEARSE HIS FAMOUS QUESTION. The word “miraculous” was swimming in his mind as the final seconds ticked away, which led to him asking if we believed in miracles. Hours later, after working the Finland/Sweden game that transpired while most of the country watched the game whose nickname he was mostly responsible for on delay, he had forgotten what he said. 16. SOME OF THE SOVIET PLAYERS TOOK THE LOSS IN STRIDE. 17. THE U.S. TEAM SANG "GOD BLESS AMERICA" AFTER WINNING, BUT DIDN’T KNOW ALL THE WORDS. The team got tripped up after “land that I love,” hummed through the lines they didn’t know, and picked it up again for the big finish. 18. PLAYERS FROM BOTH COUNTRIES LATER PLAYED IN THE NHL. 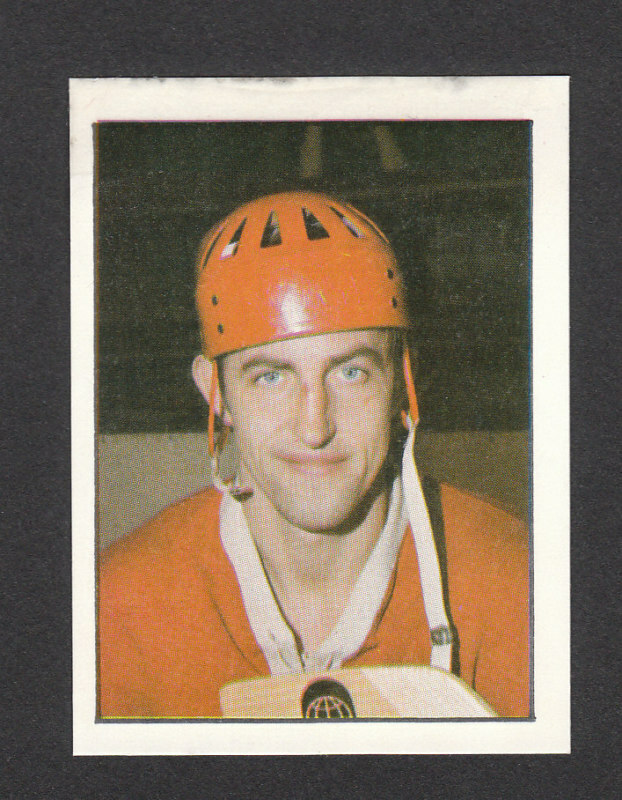 Thirteen of the 20 members of the U.S. squad went pro, Including defenseman Ken Morrow, who, after winning the gold medal, joined the New York Islanders and won the Stanley Cup in each of his first four seasons. Jim Craig’s arcade buddy Sergei Makarov was one of five players from the 1980 USSR team to join the National Hockey League in the 1988-90 season. Makarov won the Rookie of the Year award at the age of 31, which led to the league enforcing a rule starting the following season that you had to be 26 or younger to win. 19. THERE WAS A MADE-FOR-TV MOVIE ABOUT THE GAME STARRING STEVE GUTTENBERG. The 1981 ABC film Miracle on Ice mixed actual game footage with written scenes. Guttenberg portrayed goalie Jim Craig, Karl Malden played Herb Brooks, and Jessica Walter—known by some today as Lucille Bluth from Arrested Development—played Herb Brooks’ wife, Patti. 20. THE LAKE PLACID OLYMPIC CENTER RINK WAS RENAMED HERB BROOKS ARENA IN 2005. Brooks returned to lead the 2002 U.S. men's hockey team to a silver medal. One year later, he passed away after a car accident.